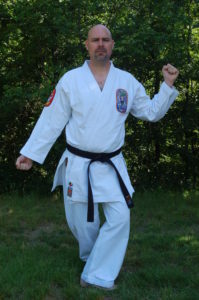 Mr. Steve Kroll started training with TIKK at the Richardson/Plano dojo in January 2002 at the age of 43 with his then 1st grade son, now himself a Sho-Dan. He began training directly with Hanshi Kristensen as a brown belt. He earned his Sho-Dan on August 28, 2010 at the summer Shiai at the age of 52 and was promoted to Ni-Dan on April 6, 2014. He continues to train at the main dojo. Mr. Jim Wallander began his training with his 6 year old son, Allan, in the fall of 2002. He has 6 children, all very active in sports and all who trained in karate. Their experience in karate helped them to excel in their respective sports: football, baseball, gymnastics and cheer leading. His daughter Jessica is currently a Junior at the Air Force Academy who last gymnastic season set an Academy record 9.925 on vault as she became the regional champion. He has 2 sons still at home who continue their karate. 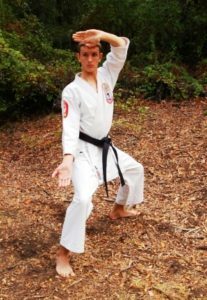 Mr. Allan Wallander earned his Junior Black Belt at 13 and Sho-Dan at 16, the youngest ages for Black Belt advancement in Isshinryu Karate. Mr. Adam Wallander earned Sho-Dan on December 12, 2015. Mr. Wallander Helped start TIKK Sport training program at the Grapevine, Dojo. 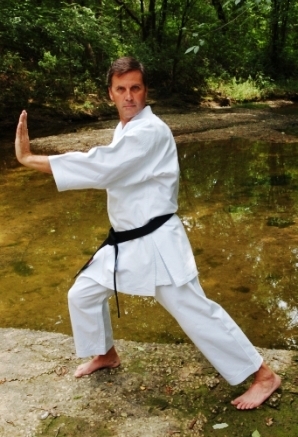 It is a combination of traditional Isshinryu Karate and highly focused sport conditioning. His goal is to help local student athletes develop to their highest potential so they are serious candidates for college scholarships in their selected sports. 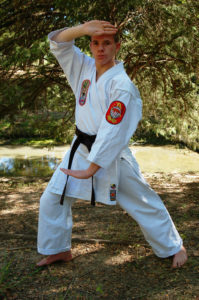 He enjoys competing in karate tournaments and has come in 1st and 2nd in numerous national and state tournaments. He earned his Sho-Dan on April 15, 2012 and his Ni-Dan on April 10, 2014. 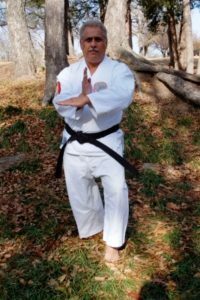 Mr. Dan Melendez started training with Texas Isshinryu Karate Kai as a White Belt in the summer of 2001 at the Denton, TX. Dojo. He is a licensed Chemical Dependency Counselor (LCDC) and is also a Certified Recovery Coach (RC) Trainer of Trainers. He has over 17 years experience volunteering and helping people with addictions to mood altering chemical substances through self-help groups, faith based and community organizations. his hobbies and interest include scuba diving, mountaineering, and outreach ministries. Mr. Melendez earned the rank of Sho-Dan on December 1, 2012. He continues his training at the Grapevine, TX. Dojo and co-instructs at the Plano, TX. Dojo. Mr. Albert Solares began his training under Shihan Tony Palos and Renshi Tina Palos in February 2009. He continues his training at the Denton Dojo. 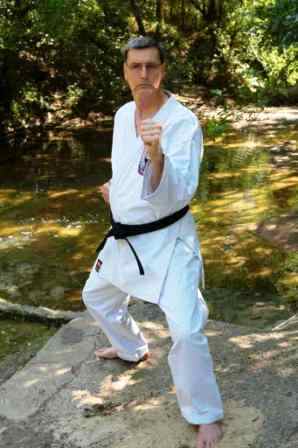 Mr. Lee Stafki began his martial arts career in Isshinryu Karate in 1987 at the New Mexico Military Institute (NMMI), Roswell, New Mexico. Mr. Stafki studied under Sensei Ann Stacy and Master Angi Ueza’s organization. In 1988, Mr. Stafki also began studying Aikido under Sensei Stacy in Master Karl Gies’ organization. Mr. Stafki earned his Sho-Dan is Isshinryu in December of 1992. He earned his Sho-Dan in Aikido in May of 1993, the same day he graduated from NMMI and was commissioned an Officer in the United States Army. After graduating from NMMI, Mr. Stafki moved to the Dallas/Ft Worth area where he worked in law enforcement, completed an undergraduate degree from the University of North Texas and entered Active Duty in the Army. 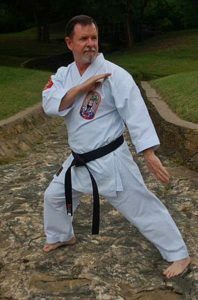 Mr. Stafki continued formal training in Aikido and sustained his training in Isshinryu by training in various Dojos worldwide during his career in the Army. In 1999, he earned his Ni-Dan in Aikido. In 1999, he began training in Brazilian Jiu-Jitsu through the Army and by 2002, he had earned his level 3 instructor certification. In 2005, he had to temporarily stop martial arts training due to injuries sustained in combat during a tour in Iraq. In February 2006, he retired from the US Army and moved back to the Dallas/Ft Worth Area. 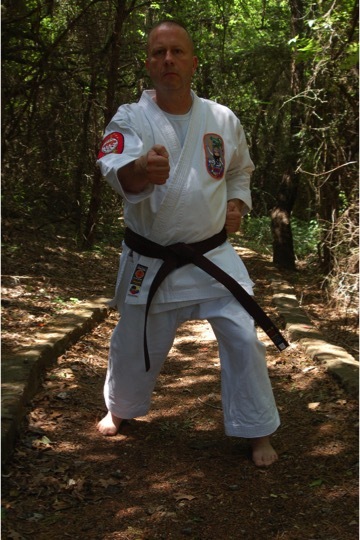 In May of 2014, he resumed training in Isshinryu again at the Denton Dojo under Shihan Tony Palos and Renshi Tina Palos. Finally, in December 2015, Mr. Stafki was formally accepted into the TIKK. In addition to Isshinryu, Aikido and Jiu-Jitsu, he has also informally studied Judo, Hopkido, Taekwondo, and Kenjutsu. Heis married to Chelsey Stafki and they have 3 children, Kaitlyn, Alexander and Sean. His two sons also study karate in TIKK. Mr. Johannes Kroll started training with TIKK at the Richardson/Plano dojo in January 2002 at the age of 6. On his 15th birthday, April 25, 2010, Mr. Kroll earned the rank of Sho-Dan Ho. 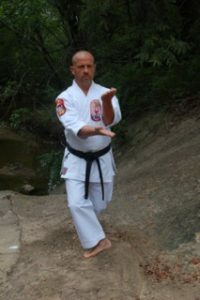 Mr. Kroll went on to earn his Sho-Dan on August 27, 2011 and is the 3rd student in TIKK’s history to go through all the ranks to Sho-Dan. He is currently a member of the “Fightin’ Texas Aggies Corps of Cadets” and continues to train at the main dojo when he is home from school. Mr. Steve Pergantis began his training at the urging of his son in January 2003. At the 2007 Isshinryu World Karate Association (IWKA) Tournament he placed 3rd in kata and kumite. Along with Sensei Van Winkle and Sensei Espinosa, he was jointly named Karate-Ka of the year in 2011. Adhering to the dojo kun of “Continue your training with patience”, he attained the rank of Sho-Dan on December 1, 2012. He continues his training at the Grapevine, TX. Dojo. Mr. Allan Wallander Bio coming Soon. Mr. Steve Sumners began training on April 9, 2009 under Shihan Tony Palos and Renshi Tina Palos at the Denton, TX. Dojo. As a Yellow Belt he was honored with the Spirit of Isshinryu Award for his contribution to the Kai website by Hanshi Robert A. Kristensen. At the 2012 Isshinryu Hall of Fame (IHOF) Tournament in Knoxville, TN. he placed 3rd in kata. 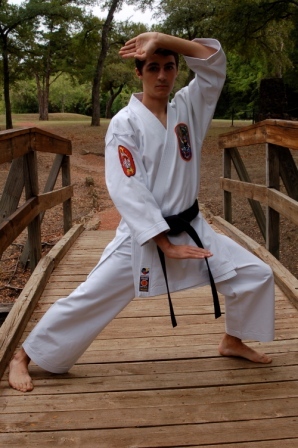 He has consistently been a Top 3 competitor in local and school tournaments in kata and kumite. On April 19, 2015 he earned the rank of Sho-dan and was honored as the most Outstanding Karate-ka of the 2015 Gasshuku. He is a Desert Storm Veteran and retired from the United States Army with over 20 years of service. He is the first combat veteran since Renshi Tommy Thomas in 2000 to go from White Belt to Black Belt. Mr. Sumners continues his training at the Denton, TX. Dojo. Mr. Ethan Shah Photo and bio coming soon. Dr. L.B. 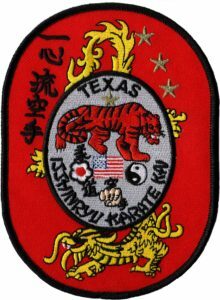 Herbert began her martial arts training on January 5, 2008 at the Plano, TX. Dojo. At the 2008 Isshinryu Hall of Fame (IHOF) Tournament in Knoxville, TN. she placed 3rd in Kata and 4th in Kumite. She was voted the Most Outstanding Female Karate-ka at both the 2012 & 2013 Gasshuku’s. In April 2011, she earned brown belt rank of Ichi-ban, which she held until December 12, 2015 when she earned the rank of Sho-Dan. Dr. Herbert earned her Ni-Dan on December 15, 2018. She is an instructor and trains at the Plano Dojo. Mrs. Grace Murray began her training in June 2010 under Soke Robert Kristensen. 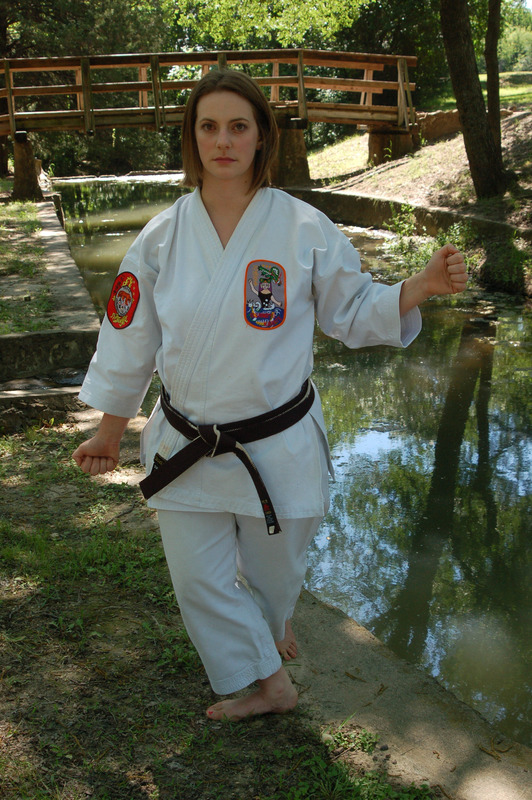 In the Fall of 2011 she began her training under Sensei Kyle Murray at the Baylor Isshinryu Karate Club. 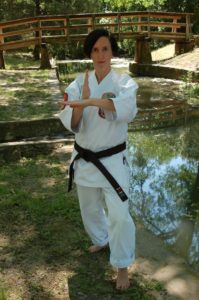 At the 2012 Isshinryu Hall of Fame (IHOF) Tournament she placed 1st in kata and 2nd in kumite. Mrs. Murray and Sensei Kyle Murray were married in their home town of Coppell, TX. In June, 2014 and they welcomed their first child. She continued her training throughout her pregnancy and was voted Most Outstanding Female Karate-ka at the 2014 Gasshuku. In September 2015, she co-founded the Trophy Club Dojo with Sensei Kyle Murray. She earned the rank of Sho-dan on December 12, 2015. On December 15, 2018 Mrs. Murray earned the rank of Ni-Dan. 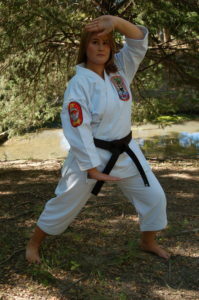 She is an instructor at the Coppell and Grapevine Dojo’s and continues her training in Grapevine, TX. Ms. Aisha Espinosa earned the rank of Sho-dan on December 12, 2015. Her and her Father, Sensei Jovi Espinosa, became the first Father and Daughter to become black belts in TIKK history. Ms. Deanna Rupp started her training under Kyoshi Maria Kristensen in 2002 when she was 5 years old. 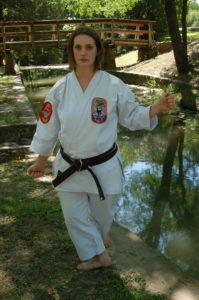 In 2006, her family moved to Granbury, TX, and she began training under her Mother, Renshi Jeannie Rupp, when the Granbury Dojo opened in 2009. After earning the rank of Ik-Kyu, Ms. Rupp took a break during her Senior year of High School to focus on college applications. Ms. Rupp rejoined the Kai, training under Hanshi Robert A. Kristensen, in December 2015 after watching her close friend, Ms. Aisha Espinosa, achieve the rank of Sho-Dan. On August 27, 2016, Ms. Rupp earned the rank of Sho-Dan alongside Mr. Grant Dennis at the TIKK 25th Anniversary Shiai, making her and her Mother the first Mother-Daughter Black Belts in TIKK history. Today Ms. Rupp is pursuing a degree in Voice Performance at TCU while continuing her training at the Grapevine Dojo. 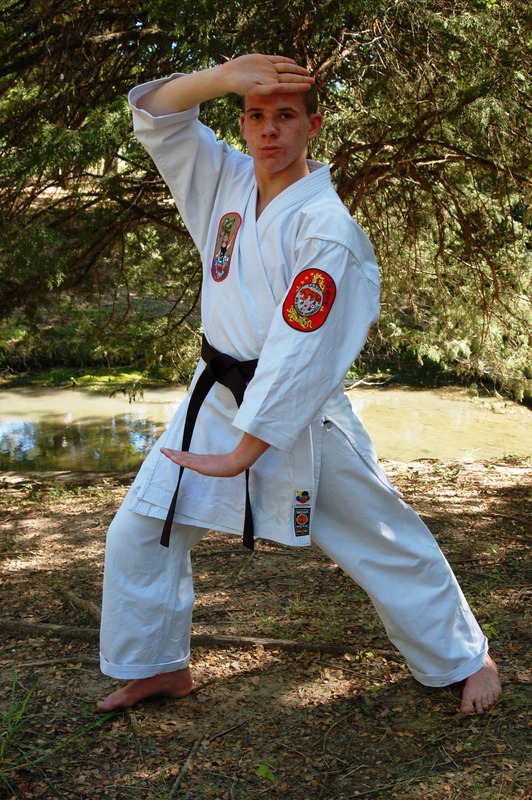 Mr. Grant Dennis began karate in the summer of 2006, at the age of 6 years old. 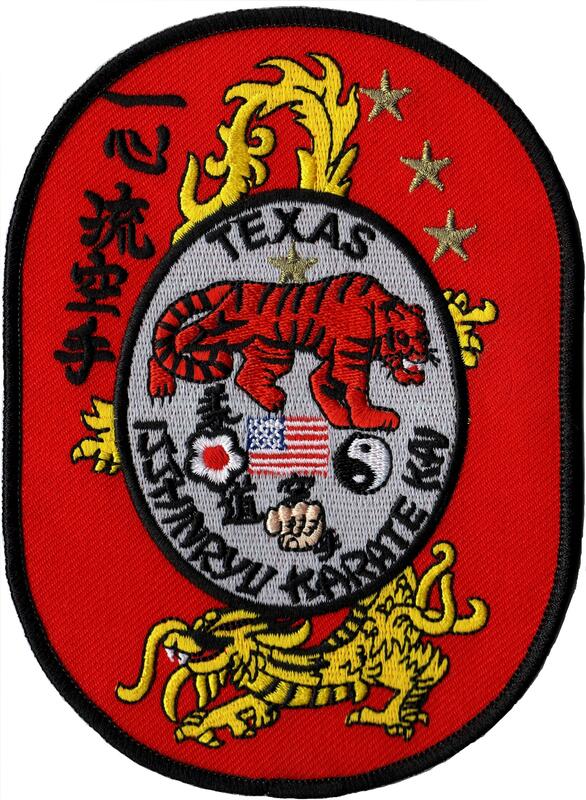 His training began with Shihan and Renshi Palos at the Brickhouse gym in Denton, Texas. 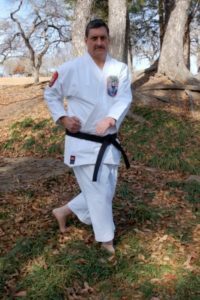 After 10 years of training, Mr. Dennis received the rank of black belt/Sho Dan at the 25 year anniversary Shiai of Texas Isshinryu Karate Kai at Sandy Lake Park. He has enjoyed attending the annual Gasshuku numerous times, and has also competed in the Isshinryu Hall of Fame tournament in Gatlinburg, TN, for several years. While competing at the IHOF, He has won trophies in kata and kumite and in 2017 he was a finalist for the Young Male Karate Ka of the year in the 13 to 17 year age group. He continues his training at the Denton Dojo, and plans to begin his college studies in the fall of 2018. Mr. Mark Schneider began his Karate training in Isshinryu in 2002 at the Randolph Karate Academy in Randolph, New Jersey under Mr. Joseph Cicero. 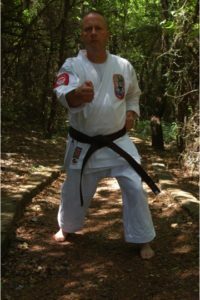 Mr. Schneider continued to train until 2005 when a job change required him to relocate to Louisiana forcing him to suspend his training as there were no Isshinryu schools locally. Upon relocating to the Dallas, TX. area with his family in 2010, he resumed his Isshinryu training (with his teenage daughter Lauren) at the Plano Dojo under Sensei’s Harper & Hendrix. he was voted the Outstanding Male Karate-Ka at the 2016 Gasshuku. He was also voted the 2016 Male Karate-Ka of the year at the December, 2016 Shiai. Mr. Schneider earned the rank of Sho-Dan on April 23, 2017, at the Gasshuku and Shiai. He continues to train at the Plano Dojo where he also serves as an assistant instructor.